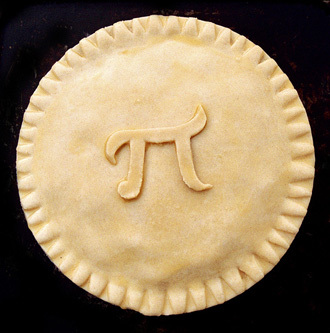 Trends for 2011: Year of the Pie? CES is currently going on, and news stations are quickly stating their predictions for the best sellers. Fox News believes it to be tablets, and CNN believes it to be anything Android-based. With the new Android OS for tablet being announced, I’m seeing some collaboration. And this may be one of the only things Fox and CNN have ever agreed on! Moral: Sell that netbook now and start saving up for the Android tablet of your choice. I love cupcakes. We all know this. Unfortunately, cupcakes are apparently “no longer trendy” in 2011. For most of 2010 people were expecting donuts or macaroons to take the crown, but near the end of 2010 a new challenger rose victorious: the pie. Although I don’t want to admit it, you can’t fight both NPR AND Betty Crocker on it. However, I take solace that both sources have also claimed “upscale junk food” as a 2011 trend. I can’t wait to play around with some fun recipes for that! Moral: You’ll start seeing pie shops popping up around the country. I’m guessing you’ll be able to stop in for a nice pot pie and end with a mini sweet pie for dessert. We’re all tired of vampires. Werewolves tried to trend but didn’t stick. Zombies made a decent comeback with “Walking Dead”. But what will 2011 bring? With the success of True Grit, the anticipation of Aliens and Cowboys, and the appearance of Western and Steampunk influences in events and weddings, I’m gonna call it: 2011 will be the year of the Western. Folks will love the chance to leave their tech toys behind and dream of simpler, dirtier days, even if it’s just for a couple hours in a theater. Moral: Trade in those custom fangs for a nice set of spurs. What are your thoughts for 2011? Any trends you’re hoping to see?